Big names bring big performances. But with the indoor track and field season being so young, can we expect national records in January, too? 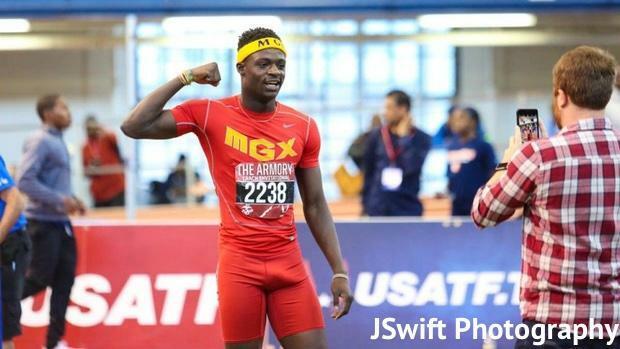 As we head into one of the strongest pre-national events this indoor season at the VA Showcase on Friday and Saturday, let's take a look at a key race that should provide some fireworks. History has shown us that records typically fall when big time head-to-head matchups take place on the oval. So will competition breed remarkable results this weekend? One reason why the 500m remains so fascinating at the prep level is because of its non-frequency in competition. Athletes often use the distance to train for other segments of their race, adding speed potentially for an 800m or endurance in the 200m or 400m, rarely preparing their focus on the event alone. But this year's race will feature five extremely talented athletes, and there's a great chance a national record could be set. In 2012, Bronx Christopher Columbus (NY) Strymar Livingston set the prep standard with a 1:01.68 at New Balance Games. The American all-comers record was posted in 2014 by Brycen Spratling, who went 1:00.06. Both of those marks could go down this weekend. Last year's VA Showcase highlighted Miami Norland (FL) High junior Tyrese Cooper, a blue-chip talent in the 200m and 400m, who set a sophomore class record in the distance of 1:01.88. University of Florida freshman Chantz Sawyers, who competed for Jamaica at the Pan American Junior Championships and finished out his senior year with High Point Christian Academy (NC), was second in 1:02.29. A year older and more mature, Cooper will have a greater chance to eclipse that time. But he will also, in some ways, face his equal in lane four or five. That will be Flight400's Brian Herron, a junior from Atlanta Lakeside (GA) High, who became just the sixth high school athlete to drop a sub-21 200m effort (20.95) in December at the Hoover Alumni Invitational. While either athlete could take the win here, Cooper proved last season that he often comes through in big moments. Let's not forget about the other athletes, either. Herron's teammate Nick Ramey, a junior at Brookwood (GA) High, is off to a torrid start -- posting a 200m best of 21.54 and 400m effort of 47.39. Nicholas Wilson of Dematha Catholic (MD) High has gone 21.55/48.53 and went a 500m best of 1:08.54 last season. And Edward Richardson III of Hampton Bethel (VA) has posted a 48.46 at 400m and 1:04.42 from last year's VA Showcase. The girls race is no less interesting, either. From top to bottom this race is stacked, from U.S. No. 1 Britton Wilson of Mills Godwin (VA) High to U.S. No. 2 Nyjari McNeil of Franklin (MD) High. Pickerington Central (OH) High's Jaydan Wood could potentially be the fastest here, but she hasn't raced the distance yet and has gone 54.16 in the 400m and 2:19.11 in the 800m. Both Wilson and McNeil stand just hundredths of a second off their carer best, with Wilson's 1:13.33 leading the nation. And, ultimately, that could bode well for a potential national record, considering the standard sits at 1:10.30, last achieved by Easton Area (PA) High's Chanelle Price back in 2008. No doubt, though, Bullis School (MD) will try to overpower this race by sheer depth alone. Perhaps the biggest mystery and greatest talent could be sophomore Shaniya Hall, a 54.33 runner in the 400m outdoors who many expect to turn some heads with a stellar performance, but her teammates could just as easily make a bid for the win, like senior Masai Russell, a Texas A&M signee who went 1:15.59 last year at the distance, or senior Kasey Ebb, who went 1:17.97 in 2017, or junior Sierra Leonard, who went 39.76 in the 300m last year. 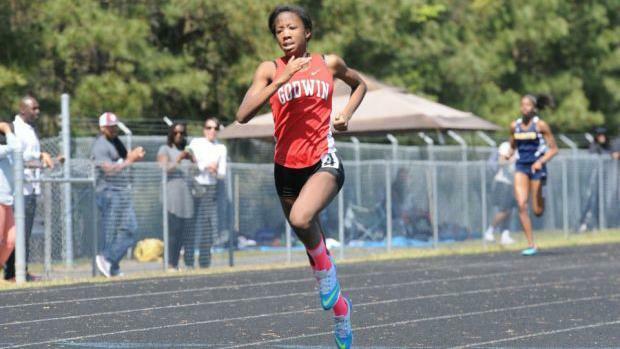 While it may seem like a good case to bet on a Bullis athlete to win here, don't forget that McNeil is the top returning runner at the distance from 2017 and that Wilson was right behind her.